Price is per 16-inch strand of these beautiful beads. Each measures 20mm x 15mm x 6mm - about 20 beads to the strand. 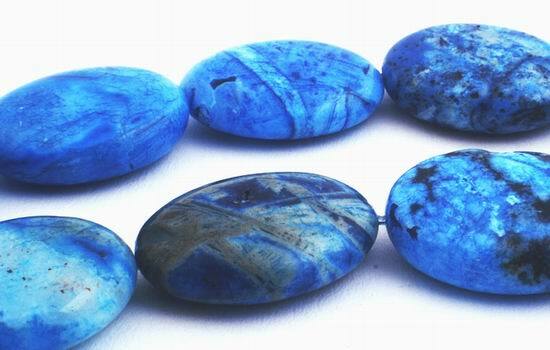 NOTE: Actual bead colour is lighter blue that the one in the picture.